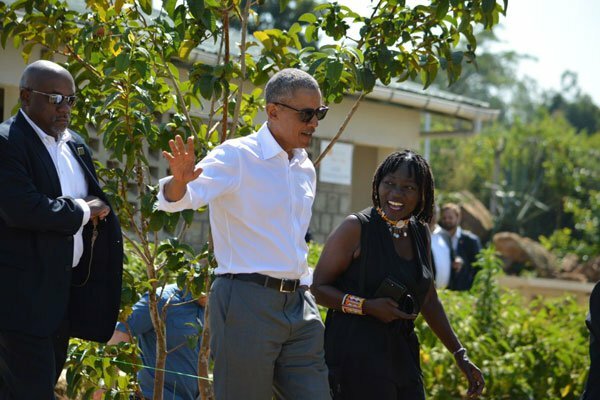 Dr Auma Obama And Sauti Kuu founder has explained her “gonya gonya” statement after she was criticized by social media users. In her opening remarks at the youth and sports centre, the ‘And Then Life Happens: A Memoir” author said that it was about time the Luo people started empowering themselves. “The reason I built this with the support I have is that I want my community members to start realizing they can actually do things for themselves … that they can help themselves and don’t have to constantly be in a situation where they are grateful to others for what they have,” she said. But her remarks were not well received with some wondering why she would refer to her people as beggars. “I’m not calling Luos beggars. I’m telling Luos that we need to start taking care of ourselves. I know it’s not difficult because we can,” she responded to critics. She encouraged those angry at her remarks to work with her and support the youth who she she noted run from the village for opportunities they hope to find in the urban areas. “I built this centre because I asked young people ‘what will make you stay’ and they mentioned all the things they didn’t’ have that they thought they would find in the city. I then explained to them that ‘you won’t get them because in the city, if you don’t have money, you end up in a slum and in the slum you get nothing’,” she said. With those rasta kwanza anakaa Nairobi Business community ! She was a beggar herself before she got there, and got the donations through begging. I dont know of lazy luos in my life though, thats a fakt ! The only difference is one is an international beggar and others local beggars! !